I totally get how stressful it can be to train sped paras... Like I've said before, every year I have taught I have had at least 1 new para, which means training training and more training! This year I have 2 new paras so I really need to step up my training game. Balancing required school trainings/ PDs and making sure you have time to train your paras can be tricky! 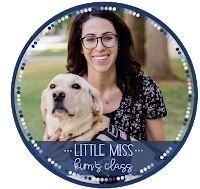 Check out these three tips to get the most bang for your buck out of your para PD. Sometimes it's hard to find time to train paras the week before school starts when teachers are required to attend of trainings too. I started using technology to train paras and it's been great!! I use Autism Training Modules the most. It's awesome because it has a ton of 15-30 minute modules on a variety of topics (just a few are: antecedent-based interventions, PRT, prompting, reinforcement, language and communication, extinction, discrete trial training, and PECS) and paras can complete the modules when I'm at other trainings or sometimes even during the school day. The modules have videos, great real-life examples and printable/ internet based resources. The best part is it's FREE!! Another good piece of technology to use is good ole Powerpoint. You can easily record yourself talking or videos of yourself so paras can review the PPTs when you're in teacher trainings and then they can ask questions later. Visuals are HUGE for our kiddos and for adults. I use visuals to remind paras about behavioral expectations, prompting, zoning plans and so much more! Student snapshot visual I give paras and general ed. teachers. Behavior visuals- if you're interested in these, you can get them for FREE from my TpT store here. Here are examples of the zoning plans I use. I have one for each subject/ time of day so all staff can clearly see where each student should be and what staff should be working with/ supervising those kiddos. I make them all in Powerpoint. If you want an editable version, feel free to leave your email address in the comments and I'll send it to you (It would definitely take some time for you to change/edit it a lot to make it work for your classroom). Do your best to keep things simple at the beginning of the year. 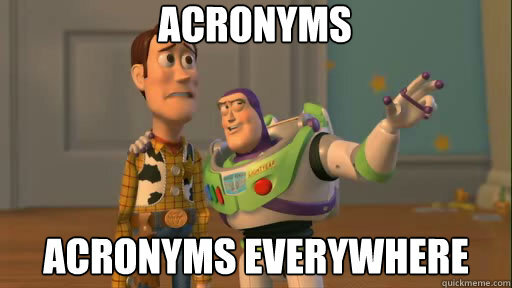 Don't throw out a ton of acronyms and "teacher words" or you're going to stress out your paras. Most sped. teachers are able to use more common language with parents at IEP meetings, and we need to do this with our paras at the beginning of the year too! 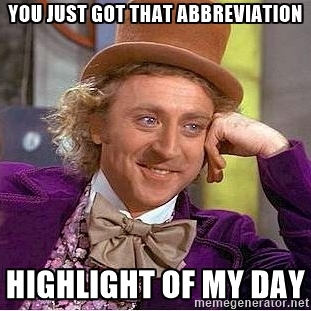 Don't start using the million sped-y acronyms like BIPs, FBAs, VODs, ABIs, PECS, PMII, PRT, SGD, and blah blah blah until your classroom staff have actually been taught what they mean! It might sound like common sense, but I still find myself catching myself using behavior/ABA vocab during trainings for paras and I need to rephrase stuff. Please share any tips you have to train special ed paras at the beginning of the school year! I would appreciate a copy of your zoning plans. It would be very helpful as I design my own zoning plans. I love that you use a visual perspective for adults instead of a spreadsheet or word document. I think my paras will be much more successful actually being able to see where they should be and with whom. Thanks!